Spring is here! I’m so happy to finally be finished with Winter and I’m even more excited for the warmer temperatures. 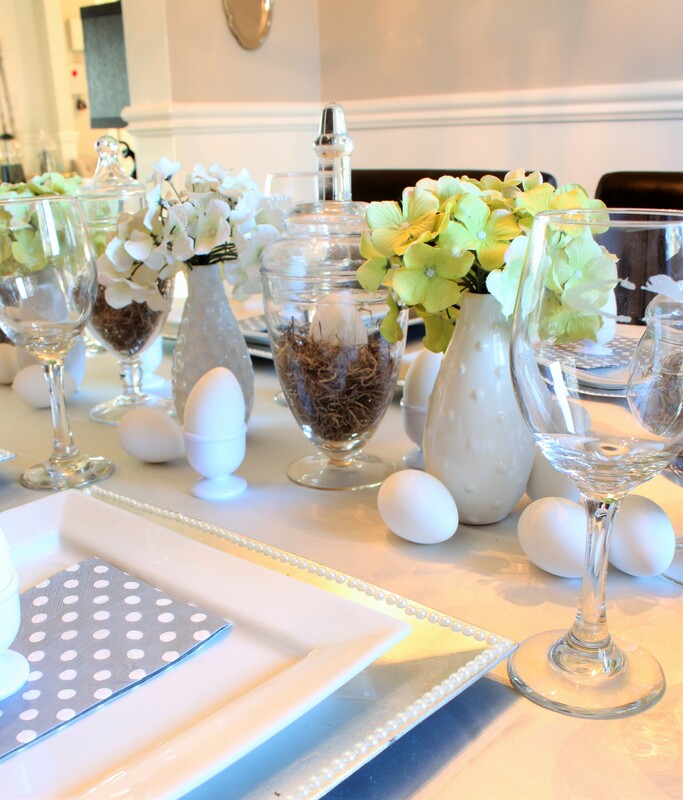 To help put me in a Springy mood, I decided to use two of my recent thrift store treasures in an Easter table setting. 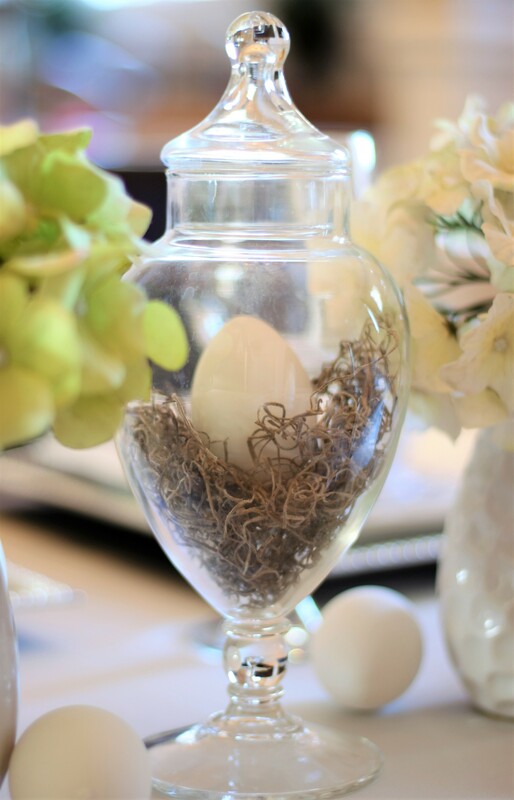 I love thrift stores and finding that certain treasure in the midst of all that “junk” can be so rewarding, so for this month’s Thrift Store Upcycle Challenge, I’m going to show you how I created a neutral Easter table setting using thrift store apothecary jars. I’m always on the hunt for an inexpensive treasure, and when I set my eyes on this apothecary jar for $4.99, I knew it would work perfectly to complement a set I already had. The larger marble cheese plate with a glass dome was found on a local buy & sell group for $5.00. 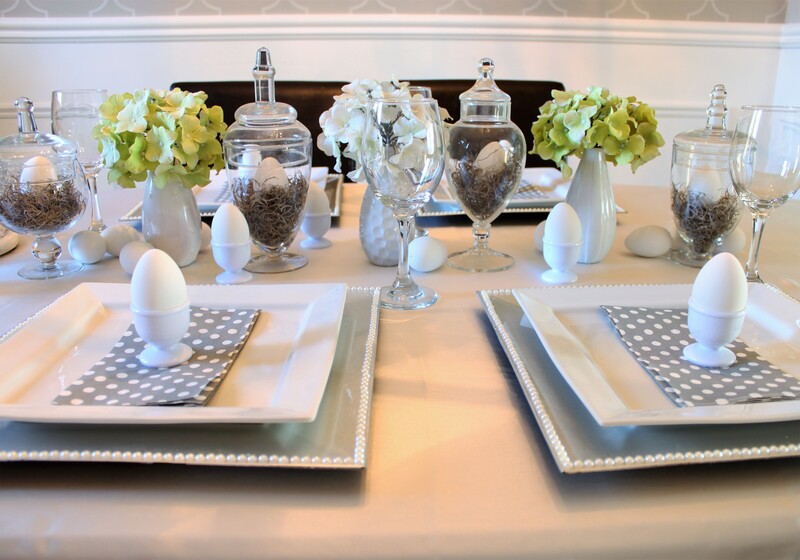 I decided to incorporate these two pieces into a fun Easter Table Setting to welcome Spring. 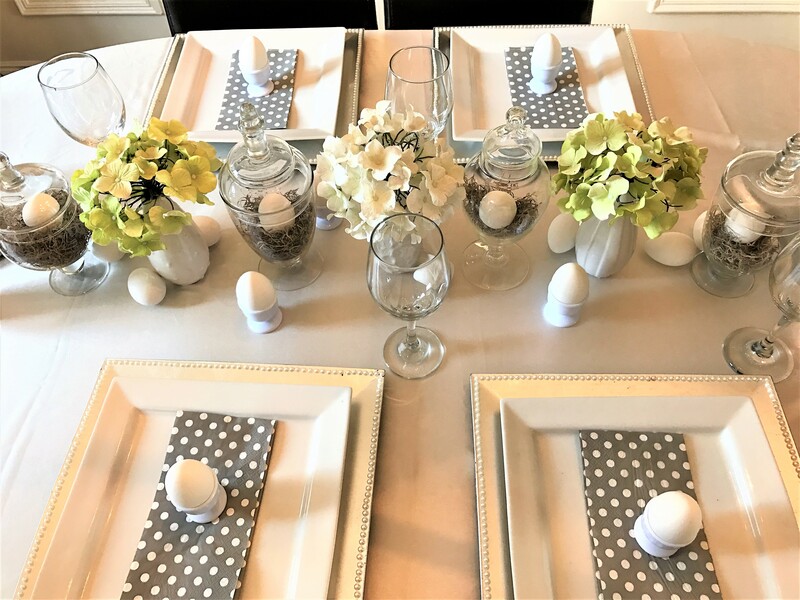 My project this month for the Thrift Store Challenge involved very little DIY and was all about decorating the pieces to fit with my neutral Easter table setting. Check out how well the new apothecary jar fits in with the family. 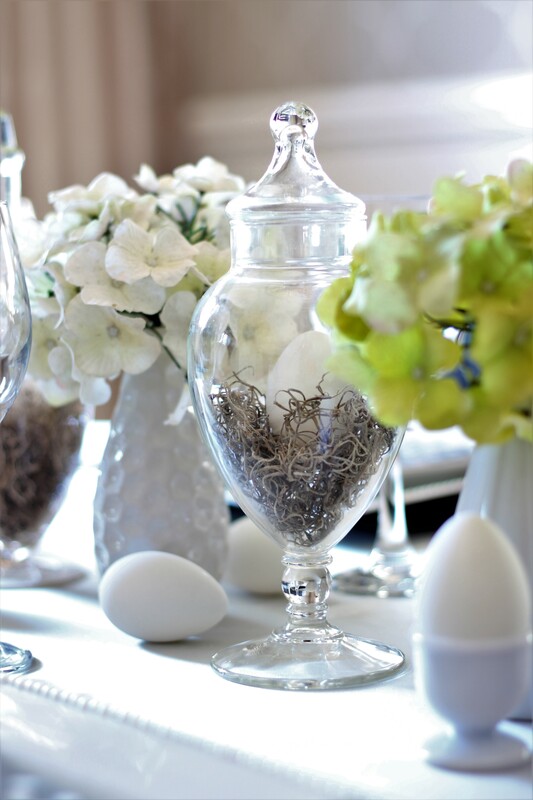 I had a vision for a white Easter table setting that included some pops of green, so I added some faux hydrangeas in vases and spanish moss to the jars so that they resembled little nests. I love how the Spanish moss looks with the cute little egg on top. I found these cute little white craft eggs at the dollar store and they were only $2 for twelve. They are intended to be painted, but I think I’m going to leave them like they are, as I love how much they resemble real eggs. My marble cheese plate even got some of the eggs and spanish moss treatment to match with the rest of the table decor. I’m so happy to have found this little gem at the thrift store on my latest treasure hunt. That’s why thrift stores are my favourite place to shop; because you roll the dice and it’s kind of an adventure. Love how you used the apothecary jars! Such a pretty tablescape. I really appreciate that. Thank you so much. I love finding treasures at thrift stores. I love how you put the moss and egg in the apothecary jar. Apothecary jars make great decorating props and I am sure you will use it all over the house. It is a beautiful tablescape. You used all the thrifted items very well and set the table very beautifully. Thanks for sharing this post. Lovely! I’ve never seen cute apothecary jars at my local thrift stores, but I have at craft stores, so that’s a great find. 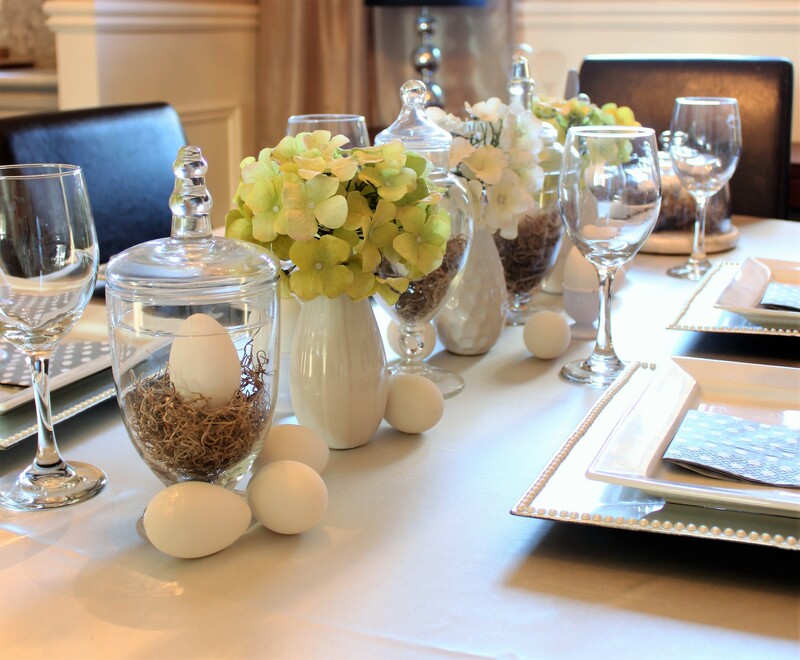 The way you have them staged is perfect for Spring or Easter. Pinning now. Very pretty table setting! I am so jealous of that marble cheese plate and dome!! I love your tablescape. 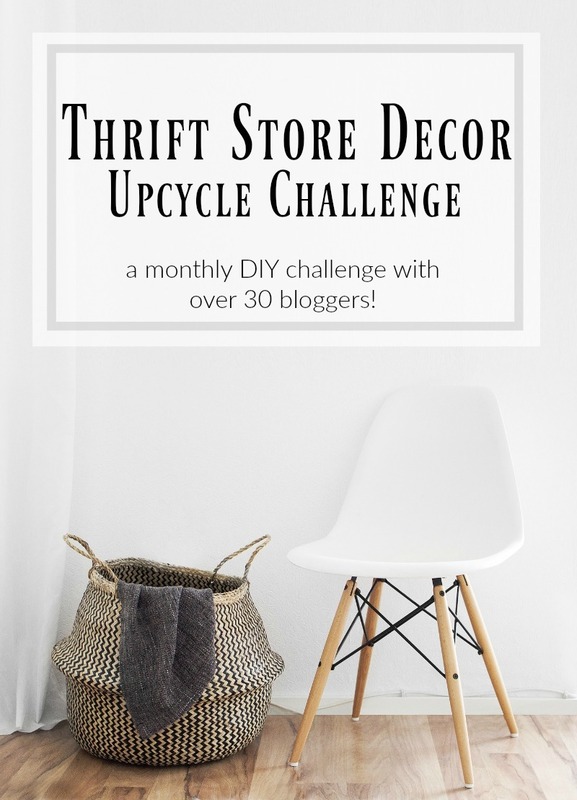 Your thrift store finds fit in perfectly! These turned out beautifully! I can never find neat jars like this at my Thrift Store….I need to do some serious hunting around town! Sue I love how you used them on your table as a beautiful centerpiece. I think we all want to own these apothecary jars but then don’t quite know how to use them. But you’ve helped people like me with no tablescaping skills with some beautiful examples. Love it!! I love apothecary jars. I sometimes use them in my decorating but I have never used them like this. 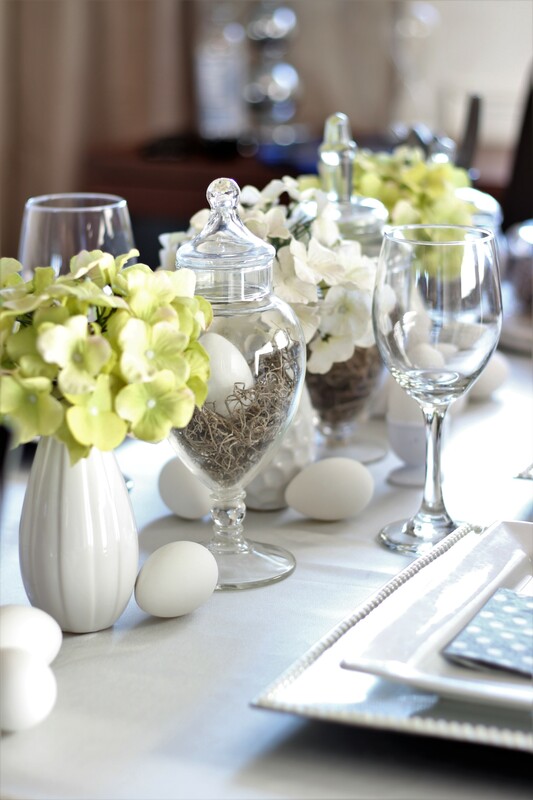 I love the moss and the eggs inside for a pretty Easter tablescape. They look gorgeous. I also love that there was maybe some washing of the jars and they were ready to go. There is nothing easier than that. Nice job! Beautiful table setting and I love how you used the thrifted items. This is right up my alley! Oh how I love the neutral with a pop of green. And the moss nests. And the polka dot napkins. So pretty and proof that beautiful decor doesn’t have to cost a lot of money! 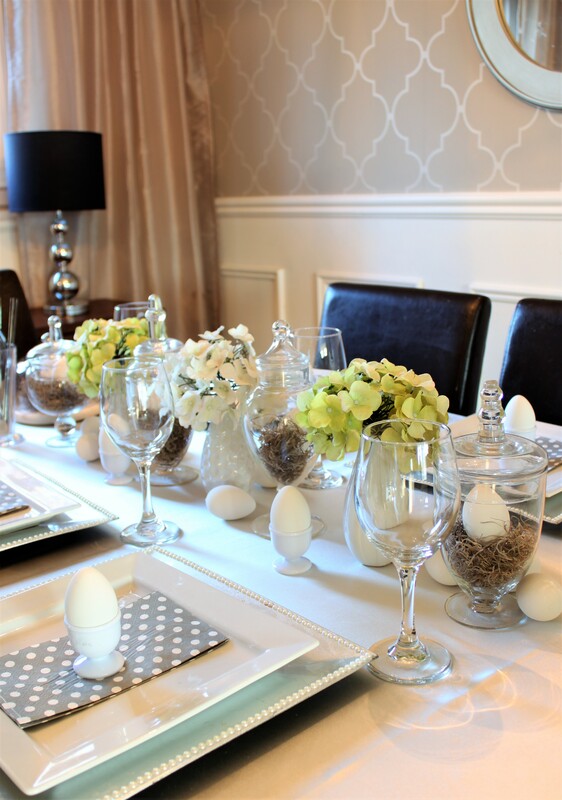 Your table setting looks great decorated with the jars and eggs. 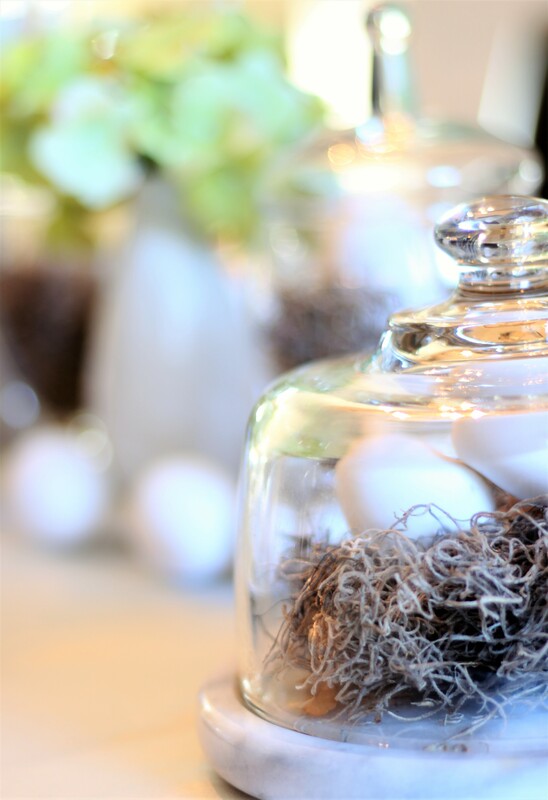 Jars and cloches are great for creating themed decor. You scored on these great finds! They are perfect on your beautiful spring tablescape! 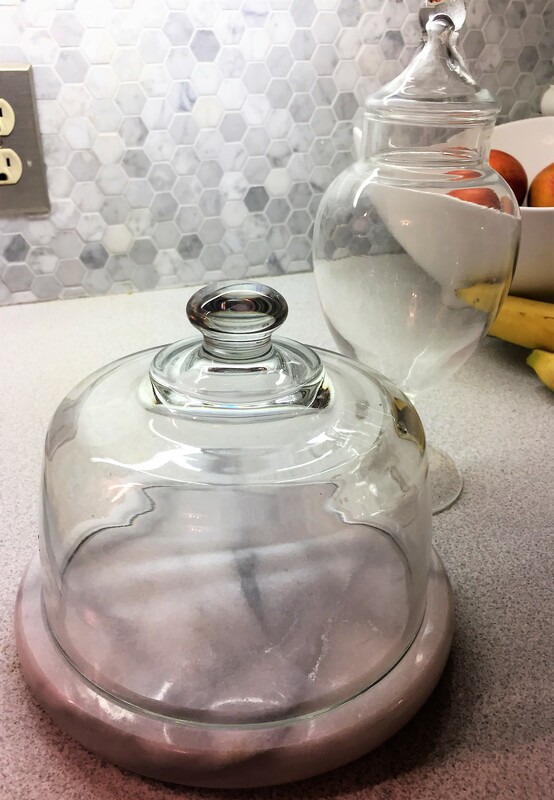 I have a slight obsession with cloches and the marble base of yours is awesome! Bring on Spring!! I know right? I’m so happy to have found these, and I do love a good table centrepiece. Very pretty! The various apothecary glasses look great as a centerpiece. Visiting from Thrift Store Upcycle.